The first usage of the term “family” in the Bible occurred when God stated to the patriarch Abraham that through him all the families of the earth would be blessed (Genesis 12: 3). That family blessing would be based on Abraham’s faithfulness to God. That “faithfulness” was contingent upon Abrahams “faith” to believe that this selected childless man with a wife who had passed childbearing age would have a son and begin lifelong generations of people who would live in obedience to God’s commands. Implicit to God’s promise to bless the families of the earth is the illustration that families would comprise of a husband, a wife and child or children born to the man and the woman living faithfully in matrimony according to the commands of God. 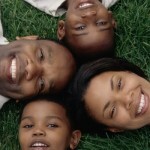 Man’s relationship with God is defined in terms of the family relationship. Satan though, has entered into this matrimonial “bond” and the family is invaded by atrocities of sin that has resulted in its disfunctionality. Instead of living in the peace of God that passes understanding of each other, members fight against each other the safety that should exist in the family is now absent. Affected by sin, each member of the family experiences some degree of deficiency and stand in need of the power of God’s Spirit of love to learn to live in harmony with the other. Able Solution Counseling Ministry engages the services of professionals who are committed to making Christ Lord of their lives. It is that personal relationship with Christ that enables counselors to provide the “soul-care” essential to pointing families to God who is our creator and functions as the ultimate Counselor and Prince of Peace. He is able to correct every difficulty, fix every problem and have the family live in harmony and be reconciled to the image of God in which each was originally created. You really do not have to settle for the limitations of not reaching your planned goals in life. Live your dreams plan your goals and achieve them, get out of the stuck state you may find yourself in by applying the recommendations of an experienced counselor who cares about your “soul”.